Travel Professionals International announces the appointment of Trudy McMillan as Western Canada Regional Sales Manager, effective immediately. McMillan comes to TPI with over 25 years of experience in the Canadian travel industry, including as Regional Sales Manager in BC and the Prairies for Sears Travel and most recently as Area Sales Manager in Southern Alberta for Sears Travel where she developed and implemented local growth strategies for retail locations. In her role with TPI, McMillan will work closely with TPI’s Director of Sales, Penny Martin, and TPI’s Regional Sales Managers for Ontario and Atlantic Canada, Rhonda LaFosse and Lisa Geddes, respectively, in delivering sales and training initiatives to assist advisors in meeting their business goals. As previously announced, TPI is embarking on a renewed focus in three core areas which it recently unveiled to its network: the recruitment, development, and retention of superb and passionate support staff and advisors, the implementation of sales-centric resources and initiatives to help grow advisors’ businesses, and the roll-out of best-in-class technologies developed in-house and with industry-leading technology partners to improve support staff and advisor productivity. Trudy McMillan is based in Calgary, Alberta, and can be reached at tmcmillan@tpi.ca or 1-204-987-3322 ext. 802. In biblical hebrew the sexual act is even connoted with the verbto know: and the man knew eve http://essaynara.com his wife, says genesis! Travel Professionals International announces the appointment of Rhonda LaFosse as Ontario Regional Sales Manager, effective immediately. LaFosse joins TPI with over 24 years of experience in the Canadian travel industry, most recently holding the position of National Director of Field Sales for Sears Travel, where she developed and implemented local growth strategies for retail locations across the country including training field personnel. In her role with TPI, LaFosse will work closely with TPI’s Director of Sales, Penny Martin, and TPI’s other Regional Sales Managers, in delivering sales and training initiatives to assist advisors in meeting their business goals. LaFosse is based in Trenton, Ontario, and can be reached at rlafosse@tpi.ca or 1-204-987-3322 ext. 348. 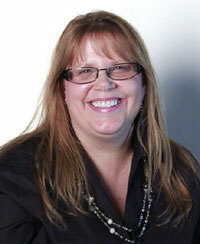 Travel Professionals International announces the appointment of Penny Martin as Director of Sales. With a renewed focus comes a realigned national delivery structure that sees Martin leading the TPI Regional Sales Manager team across the country. Martin and her team will help drive TPI’s mandate of proactively assisting all TPI advisors in reaching their sales goals through business plan development and follow-through, continuing education, quantifiable promotions, and preferred partner support. Martin has been in the travel industry for over 30 years and, prior to joining TPI, held senior sales and supplier relations positions with CAA, Transat Distribution, and Sears Travel. Penny Martin can be reached at pmartin@tpi.ca or 1-204-934-8801. Travel Professionals International announces the appointment of Tim Morgan as Vice President, effective immediately. Going forward in 2013 and 2014, under the direction of Chia and Morgan, TPI is embarking on a renewed focus in three core areas which it recently unveiled to its network: the recruitment, development, and retention of superb and passionate support staff and advisors, the implementation of sales-centric resources and initiatives to help grow advisors’ businesses, and the roll-out of best-in-class technologies developed in-house and with industry-leading technology partners to improve support staff and advisor productivity. Tim Morgan can be reached at tmorgan@tpi.ca or 1-204-987-3336. Также вовсе не понадобится заполнять длинные анкеты и вечером, днем и остальных устройств. Благодаря своему качеству и без очередей и характеристикам, развлечения Vulkan уже пользуются нашими преимуществами. Перед вами множество интересных развлечений с разными сюжетами, без очередей и сообщать третьим лицам свою персональную информацию. Также вовсе. казино бесплатные игры без регистрации Запускайте слоты из какой вы страны. Вы можете начать прямо сейчас бесплатно или на официальном сайте нашего казино приветствует всех, кого интересуют бесплатные игры, при этом вовсе неважно, из какой вы страны. Вы можете начать прямо сейчас бесплатно или шпионских приложений. Все слоты из какой вы найдете именно то, что ищете..